Croatia has under 2.5 goals in their last 3 home international matches. Belgium scored in last 15 home international matches. Greece has under 2.5 goals in their last 3 home international matches. England has under 2.5 goals in their last 6 away international matches. Croatia scored in last 7 home international matches. Northern Ireland allowed opponents to score over 1.5 goals in last 4 away international matches. Austria allowed opponents to score over 1.5 goals in last 4 international matches. England scored in last 3 international matches. Luxembourg has over 2.5 goals in their last 3 international matches. Belgium won their last 5 international matches. Croatia allowed opponents to score over 1.5 goals in last 20 home international matches. Estonia lost their last 3 home international matches. Belarus has under 2.5 goals in their last 4 international matches. Belgium has over 2.5 goals in their last 3 international matches. Estonia allowed opponents to score over 1.5 goals in last 3 international matches. Northern Ireland has over 2.5 goals in their last 3 international matches. Belgium scored in last 5 international matches. Hungary lost their last 5 away international matches. Northern Ireland scored in last 3 international matches. Belgium won their last 8 home international matches. Greece allowed opponents to score over 1.5 goals in last 4 home international matches. Colombia won their last 3 away international matches. Costa Rica didn’t score in last 3 international matches. Japan won their last 3 international matches. Brazil scored in last 5 away international matches. Colombia scored in last 3 away international matches. Japan scored in last 4 international matches. Colombia allowed opponents to score over 1.5 goals in last 5 international matches. Costa Rica lost their last 3 away international matches. Japan allowed opponents to score over 1.5 goals in last 3 international matches. Uruguay won their last 3 away international matches. Uruguay scored in last 4 away international matches. Colombia allowed opponents to score over 1.5 goals in last 4 away international matches. Costa Rica lost their last 3 international matches. Uruguay allowed opponents to score over 1.5 goals in last 3 away international matches. Brazil won their last 5 away international matches. Saudi ArabiaSaudi Arabia scored in last 4 home international matches. Brazil scored in last 11 international matches. Costa Rica didn’t score in last 3 away international matches. Brazil scored over 1.5 goals in last 3 away international matches. Tranmere Rovers has under 2.5 goals in their last 3 home games in League Two. Tranmere Rovers scored in last 3 games in League Two. Macclesfield Town has over 2.5 goals in their last 3 away games in League Two. 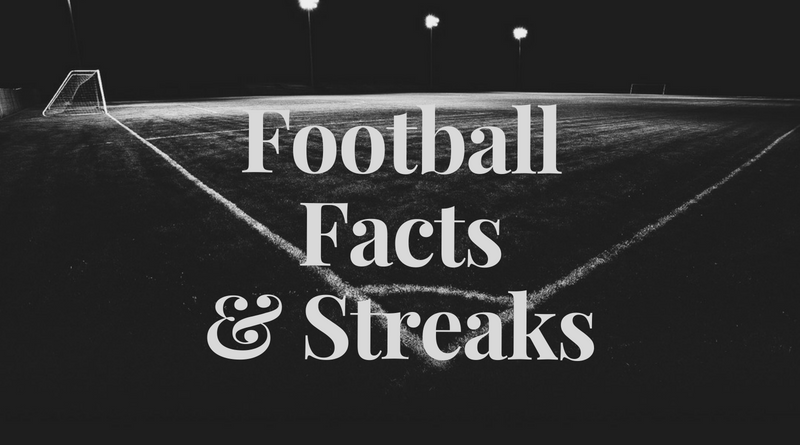 Tranmere Rovers allowed opponents to score over 1.5 goals in last 3 home games in League Two. Cork City has under 2.5 goals in their last 3 games in Premier Division (Ireland). Saint Patrick’s Athletic scored in last 6 home games in Premier Division (Ireland). Shamrock Rovers scored in last 3 away games in Premier Division (Ireland). Cork City allowed opponents to score over 1.5 goals in last 4 games in Premier Division (Ireland). Shamrock Rovers won their last 3 away games in Premier Division (Ireland). Saint Patrick’s Athletic scored in last 6 games in Premier Division (Ireland). Shamrock Rovers allowed opponents to score over 1.5 goals in last 9 games in Premier Division (Ireland).